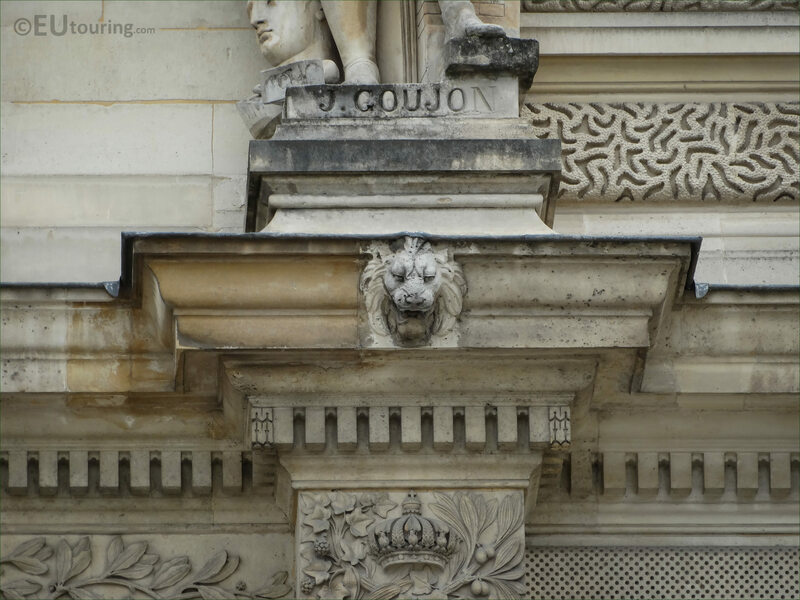 This time, while we were within the Cour Napoleon, we took these high definition photos showing the statue of Jean Goujon by Bernard Gabriel Seurre, which is located on the famous Musee du Louvre tourist attraction in Paris. 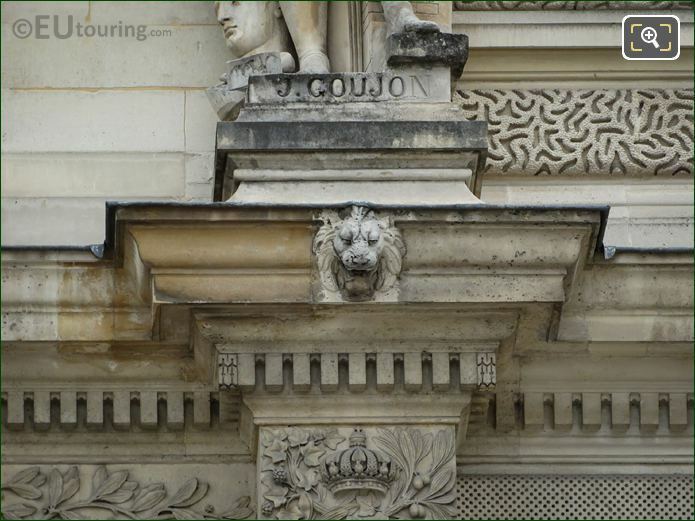 So, this first HD photo shows the stone statue of Goujon, which is situated to the right hand side of the Pavillon Sully on the first level of the facade above the colonnade, which is positioned next to the Aile Henri II, in the 1st Arrondissement of Paris. 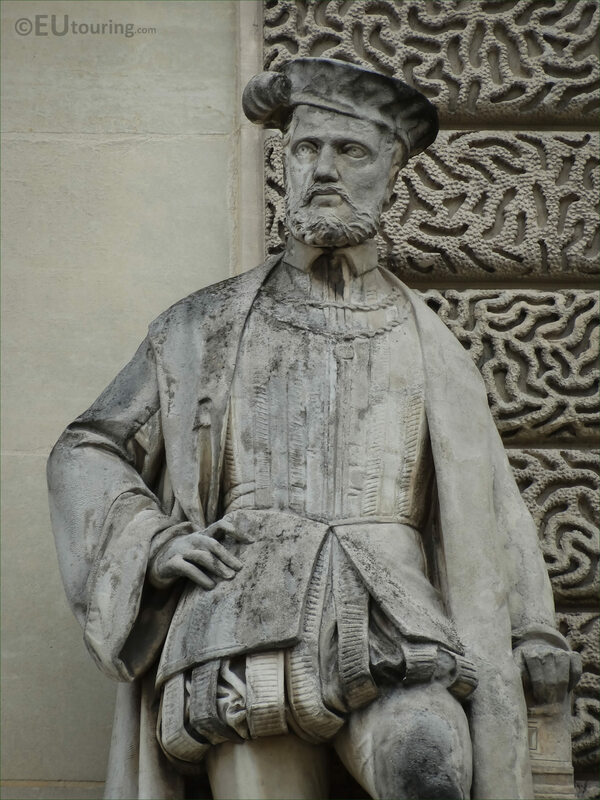 And here you can see the detail that went into producing this statue, which was produced by Bernard Gabriel Seurre, also known as Seurre the Elder due to the fact that he had a younger who was also a sculptor. 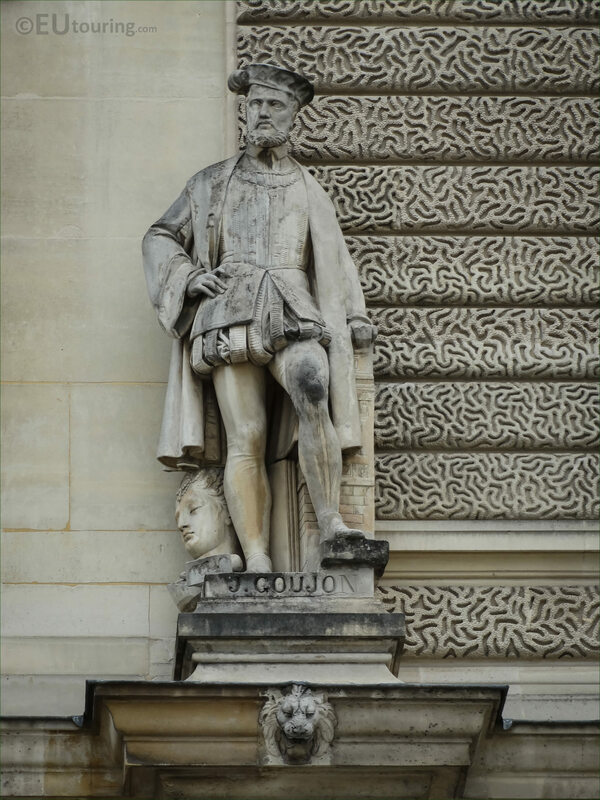 Now he was born in Paris on 11th July 1795, and entering the Ecole des Beaux Arts in 1810, Seurre won the Prix de Rome in 1818, and received numerous different commissions including being one of the artists that worked on the historical monument called the Arc de Triomphe in Paris. Yet this last image shows a close up of the name inscription on the base of the statue, which is dedicated to Jean Goujon, who became a French Renaissance sculptor and architect, that got honoured with a title of Sculptor to the King for King Henri II of France, and his most famous works include decorations for the western extension of The Louvre in collaboration with Pierre Lescot. 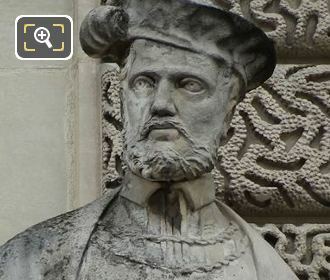 However, very little is known about his life, and even his dates of birth and death are uncertain, but these were around 1510 in France, and around 1565 in Italy, which is where he went into exile during the French Wars of Religion due to being a Protestant, and the only other dates and information relates mainly to his works on specific buildings during his career.